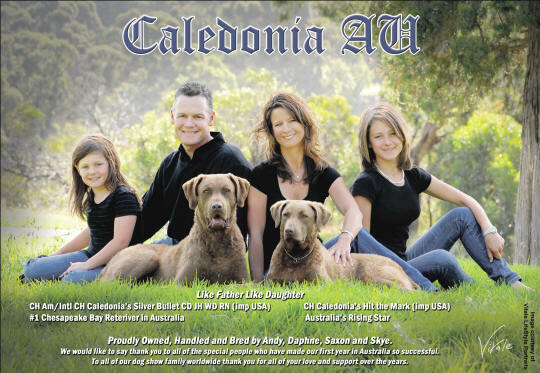 Caledonia Kennels - Chesapeake Bay Retrievers, we breed Chessies. We are a small kennel, but we have hunted over and trained Chessies for 30 years. During this time we have realized the value of versatility in this breed.